Dentist Roswell: How much does having a tooth pulled cost? The cost of a simple tooth extraction can range anywhere from $95 to $250 depending on whether the procedure is being performed by a dentist or a specialist known as an oral and maxillofacial surgeon. If the tooth is broken at the gum line, it will be considered a ‘surgical extraction’ and usually costs $150 to $300. Extracting a wisdom tooth, which is usually done by an oral surgeon, can cost anywhere between $150 and $350, but if it’s a partially or completely impacted wisdom tooth then the cost could climb as high as $650. The cost of the tooth extraction can be higher; for example, if the tooth disintegrates, it can take the dentist a while to get all of it out and the dentist may charge you extra if that happens. Each patient and each tooth is unique. It can be cookie cutter, but it doesn’t have to be. 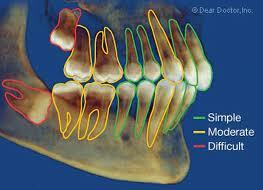 The bottom line is the harder the tooth is to get out, the more it costs, hence the range. Additional related fees, particularly with an oral surgeon may include an initial surgical consultation ($50 – $135), x-rays ($13 – $135) and sedation ($200 – $400 or more) if required. Many dental insurance plans cover 70 percent to 80 percent of tooth extraction costs if the procedure is considered to be medically necessary and not done just for cosmetic reasons. Our goal is to help you understand a procedure which may vary depending on the circumstances surrounding the tooth being pulled. If you have additional questions or concerns, do not hesitate to contact our office or email us. Consultations are always welcome and many times these procedures are accomplished in-house. Dentist Roswell: How Much do Dental Crowns Cost? 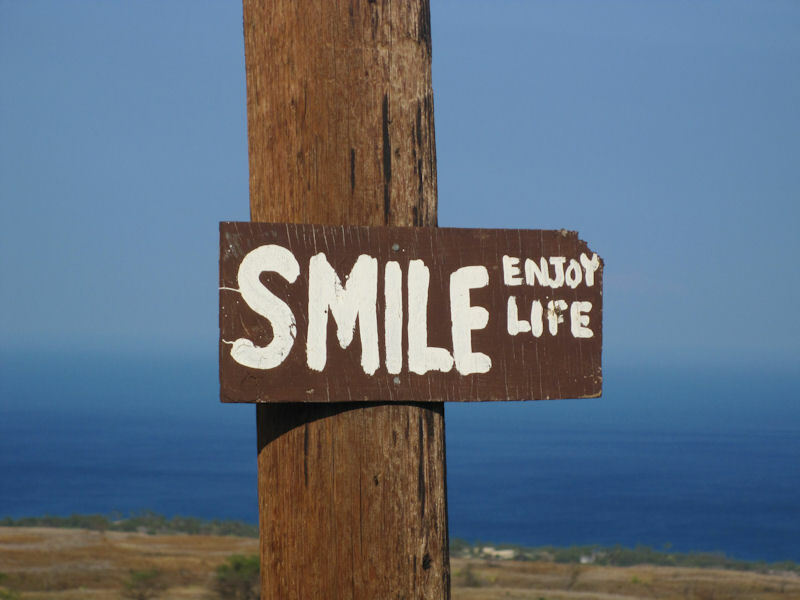 Dentist Roswell: 8 Windows your overall health sees through dentistry. I read this article a while ago by the Mayo Clinic staff, but it appears very much worth republishing. Please read this and adjust your life accordingly. It’s really not that difficult to lead a healthy life style and live longer lives for you and your family. Your mouth is teeming with bacteria — most of them harmless. Normally the body’s natural defenses and good oral health care, such as daily brushing and flossing, can keep these bacteria under control. However, harmful bacteria can sometimes grow out of control and cause oral infections, such as tooth decay and gum disease. In addition, dental procedures, medications, or treatments that reduce saliva flow, disrupt the normal balance of bacteria in your mouth or breach the mouth’s normal protective barriers may make it easier for bacteria to enter your bloodstream. · Endocarditis. Gum disease and dental procedures that cut your gums may allow bacteria to enter your bloodstream. If you have a weak immune system or a damaged heart valve, this can cause infection in other parts of the body — such as an infection of the inner lining of the heart (endocarditis). · Cardiovascular disease. Some research suggests that heart disease, clogged arteries and stroke may be linked to oral bacteria, possibly due to chronic inflammation from periodontitis — a severe form of gum disease. · Pregnancy and birth. Gum disease has been linked to premature birth and low birth weight. · Diabetes. Diabetes reduces the body’s resistance to infection — putting the gums at risk. In addition, people who have inadequate blood sugar control may develop more-frequent and severe infections of the gums and the bone that holds teeth in place, and they may lose more teeth than do people who have good blood sugar control. · HIV/AIDS. 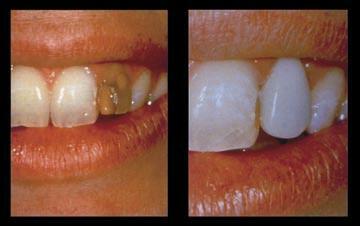 Oral problems, such as painful mucosal lesions, are common in people who have HIV/AIDS. · Osteoporosis. Osteoporosis — which causes bones to become weak and brittle — may be associated with periodontal bone loss and tooth loss. · Alzheimer’s disease. Tooth loss before age 35 may be a risk factor for Alzheimer’s disease. · Other conditions. Other conditions that may be linked to oral health include Sjogren’s syndrome — an immune system disorder — and eating disorders. Be sure to tell your dentist if you’re taking any medications or have had any changes in your overall health — especially if you’ve had any recent illnesses or you have a chronic condition. · Replace your toothbrush every three to four months. · Eat a healthy diet and limit between-meal snacks. · Schedule regular dental checkups. Can working out improve your dental health? Yes, according to one study. Researchers at the Case Western Reserve University School of Dental Medicine have discovered that people of a normal weight who exercise regularly and maintain a healthy diet are less likely to have gum disease. The study, published in the Journal of Periodontology, suggests that a healthy lifestyle may help prevent periodontal disease. Researchers took the same factors that lower the risk of diabetes and heart disease into account when analyzing data from 12,110 participants. 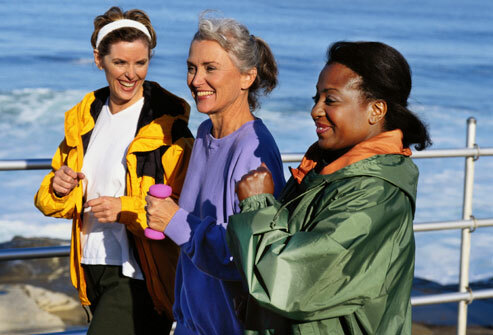 They found that those who exercised regularly, had healthy eating habits and maintained their weight were 40 percent less likely to develop periodontal disease than their counterparts. Those who met two of the criteria lowered their risk by 29 percent, while participants with just one healthy virtue had a 16 percent less chance of developing gum disease. Overall, only 7 percent of those who met all three of the criteria had some form of gum disease. The participants who had a poor diet, limited physical activity and were considered overweight totaled 18 percent, suggesting that obesity can more than double your chances of developing periodontal disease. Scientists aren’t exactly sure why these factors may decrease your chances of developing gum disease. It’s already known that healthy eating can help build up your immune system. Scientists now theorize that eating healthy foods, such as fruits and vegetables, may also help remove dental plaque from teeth. It’s also believed that obesity promotes gum inflammation, while physical activity may decrease it. Dentist Roswell: How Much Do Dentures Cost? The cost can vary depending on where you live and your needs. A Prosthodontists’ prices range typically between $900 to $3,500 per upper or lower arch. While a general dentist fees are usually $300 to $1,200 per arch a good percentage of the time you get what you pay for. A prosthodontist is specially trained to provide you with both a functional and esthetically pleasing denture. This can be a painstaking job depending on the condition of your mouth’s bone structure. So it’s not a matter of sticking a pair of slicks in your mouth and sending you off to eat corn on the cob. The proper fitting of a denture usually requires follow-up visits to determine the actual results after use in the mouth. When properly fitted, dentures can provide a great smile with a very natural appearance. In addition, with the advent of implants, many dentures can be implant supported such that your biting power is considerably increased. With implants supporting them, dentures may correct several problems, anything from speech to chewing. 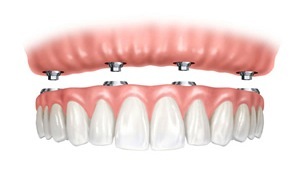 In addition, retarding bone loss, mouth irritation or sores may be avoided with implant supported dentures. It is common that your mouth changes over the life of your dentures, so even though they last long, as the bone structure changes your dentures may need to be replaced to achieve a better fit before they are worn out. The exact charge for dentures really depends on the type you need and type of dentist you choose to complete the procedure. This is a procedure for which you should definitely research your dental insurance coverage and reputation of the dentist providing you with the care you need. A portion of the cost is often covered. Also, the use of denture creams is the sign of an improperly fitting denture. If I have not answered your preliminary questions concerning dentures, do not hesitate to contact our office for a free consult. If you have seen the show Extreme Makeover or even heard about it – you have probably come to understand that “Cosmetic Dentistry” (or Aesthetic Dentistry) has the power to change people’s lives. The reality though, is that the term can be confusing because many “cosmetic” dentists are not trained by any program recognized by the American Dental Association (ADA). 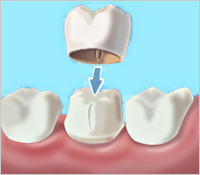 Prosthodontics is the only discipline of cosmetic dentistry that is recognized by the ADA. And a Prosthodontist is not just trained in one simple discipline – it is a post graduate degree in dentistry where by a skilled, artistically and technically trained dentist creates an anatomically correct smile- the right smile- that is uniquely crafted to fit each person’s individual attributes. Most dentists are not trained prosthodontic graduates of a dental school – rather they take short continuing education courses in conjunction with trial and error experience to be able to understand how size, shape, color and symmetry all work together to create what a prosthodontist is trained in during their post graduate work. It may appear as simple as a little contouring or as extensive as a full mouth reconstruction using veneers, crowns and implants; it’s the training that makes it appear effortless. The prosthodontist is trained to create the smile that implements the use of veneers, crowns, bridges and dental implants to ensure that the right smile is as perfect a fit both functionally and aesthetically as your individual characteristics will allow. The program is so rigorous, that of the 170 thousand dentists in the United States, less than 2% are trained prosthodontists. Dr. Scheinfeld received her prosthodontics degree from Emory University School of Dentistry in 1988. Her prosthodontics’ instructor Dr. E. Neal Kopp practiced with her for 14 years until his death in 2008. In addition, Dr. Sidney Tourial, an adjunct Emory Prosthodontic professor and next year’s GDA President has been in the practice for over 18 years.